Senators, Celebs Push for World Cup in U.S. Even though American soccer fans are still smarting from the ugly loss to Ghana that ended their World Cup dreams, there's a chance the beautiful game may make its way back to American shores soon if a group of politicians have their way. 22 senators, led by New York Democrat Kirsten Gillibrand, have submitted a letter to FIFA president Sepp Blatter this week on behalf of an effort to bring the soccer tournament back to the United States in either 2018 or 2022. In the letter, which was obtained by the Associated Press, lawmakers appealed to both patriotism and practicality in making the case for the U.S. as host nation. The letter says in part that the senators are hopeful that "Americans will be given a chance to display their passion" for the sport. They also argue that the infrastructure to support the event in already in place. 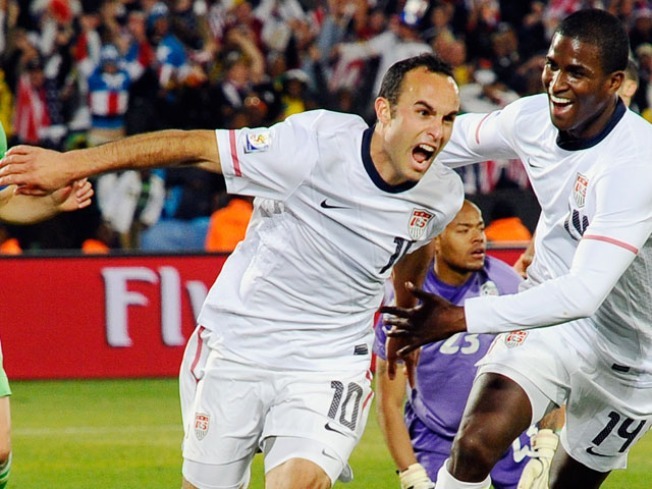 On the former point, there's no doubt that Americans embraced this World Cup like few before. From the gritty performance in the opening game against England to the miraculous extra-time goal by Landon Donovan against Algeria, millions of fans tuned in for the roller coaster ride provided by the maddening and exciting U.S. team. After years of promised interest in the sport, it finally materialized in 2010. On the latter score, major U.S. cities such as New York, Dallas, Chicago, Philadelphia, Seattle and Washington, D.C. have either constructed new stadiums or upgraded existing facilities since the last time the games were held here back in 1994. That, combined with fairly reliable mass transit and ample lodging, make America an attractive choice. In addition to the senators, other politicians like Bill Clinton, who rooted on the team in South Africa, and New York City mayor Michael Bloomberg along with celebrities Brad Pitt, Morgan Freeman and Spike Lee have joinedGo USA Bid, a group dedicated to bringing the World Cup here once again.